The DesignedByYouth team facilitates its STEAM focused curriculum daily to students of sPACE Afterschool. Students in the program range from grades K-8. Projects are of high interest to keep students engaged in their activities. A full calendar of activities for the semester are available here. DesignedByYouth can customize a program specific to the time constraints and needs of your students, school and program. Please see a few examples below. Program: 2 challenges / 1st with popsicle sticks, 2nd with a budget and flexible materials. Directions: Build the structure of the volcano. Mix the ingredients and let it blow. Created mockups and a sitemap for their website. 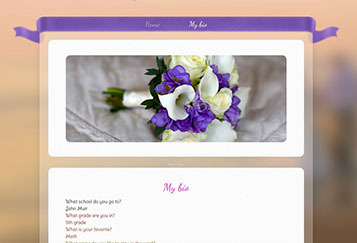 Created their website using a WYSIWYG. Took photos to add to their site. STEAM is hands-on curriculum that does more than just teach subject concepts. DesignedByYouth.org staff are trained to foster self confidence and critical thinking skills in students.